Hello my favorite people! How are you all doing? I hope all of you are in the pink of your health. I am here to share a DIY with you that is super easy, quick and really fun to do. I bet while doing this you will cherish your sweet school memories. 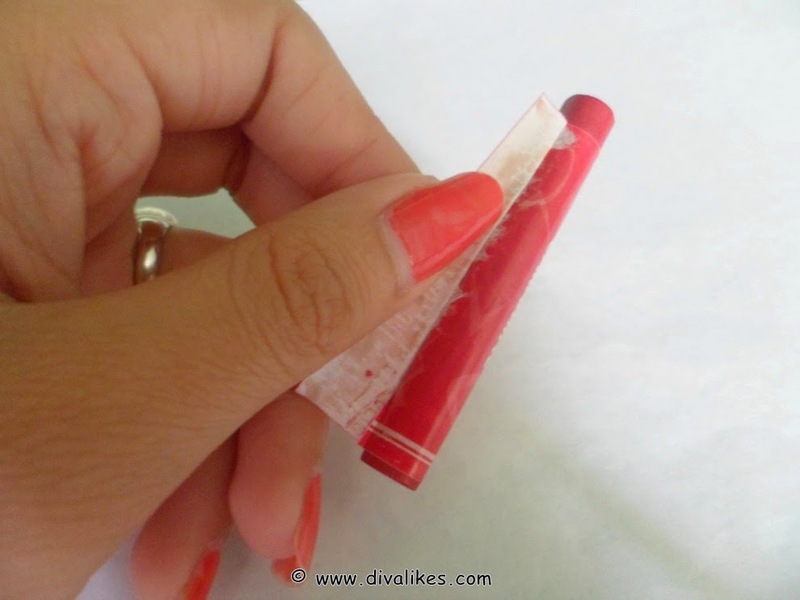 I am going to tell you how to make lipstick out of crayons. I know you must be thinking how can you make a lipstick with crayons. Even I had the same reaction when I got to know about it. But when I actually tried, I thought it was super cool and fun thing to do! 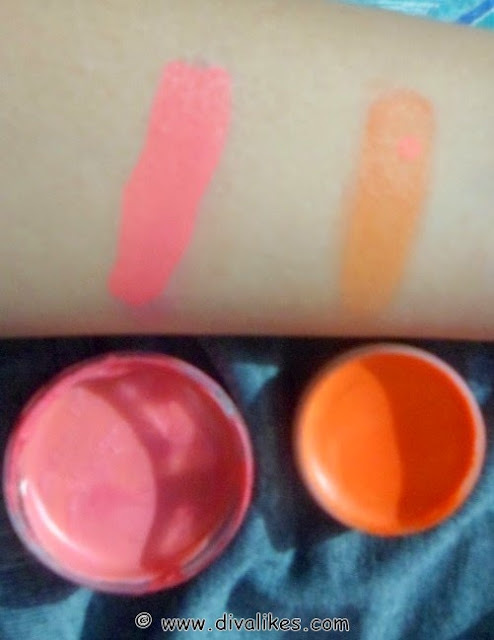 I was sulking over not owning an orange lip color like the Colorbar Obsessed Orange and so I made an orange lip color for myself in less than 10 minutes. With this DIY the possibilities are endless. You can make any color lipstick you want even blue and black(I know no one wears them except on Halloween). If you are thinking about how safe it is to use crayons on your lips, then let me tell you it is perfectly safe until and unless you are using crayons from reputed brands which are non-toxic. Crayons are mostly made of paraffin wax which is also used to preserve fruits and vegetables. On the other hand research shows that most of the lipsticks which include even the high-end brands contain some amount of lead which is a quite harmful. 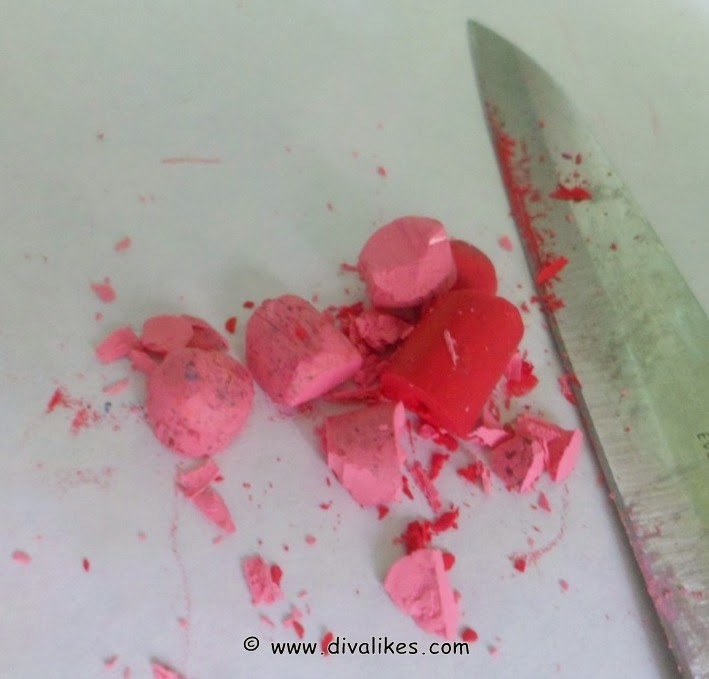 So I find using crayons is a lot safer than lead-content lipsticks. So without much delay let's go ahead with the DIY. Start off by spreading paper on a table as this can get a bit messy. Take a crayon of your desired color and peel off its paper covering. Chop the crayon into small pieces and take them in a spoon. 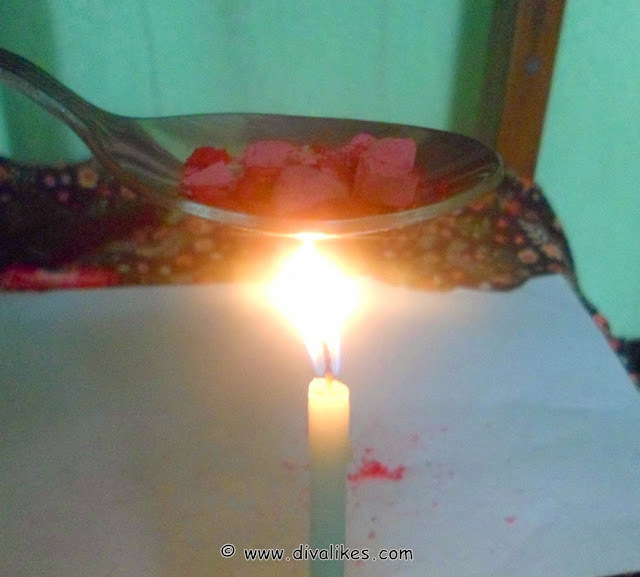 Start melting the crayons using candle flame. It may take few seconds for it to melt completely. Once the crayon melts, add Vaseline to it. For one part of crayon, you need to take two parts of Vaseline. Otherwise the result will be very hard and difficult to use. Once you add Vaseline, melt it again using the candle flame. 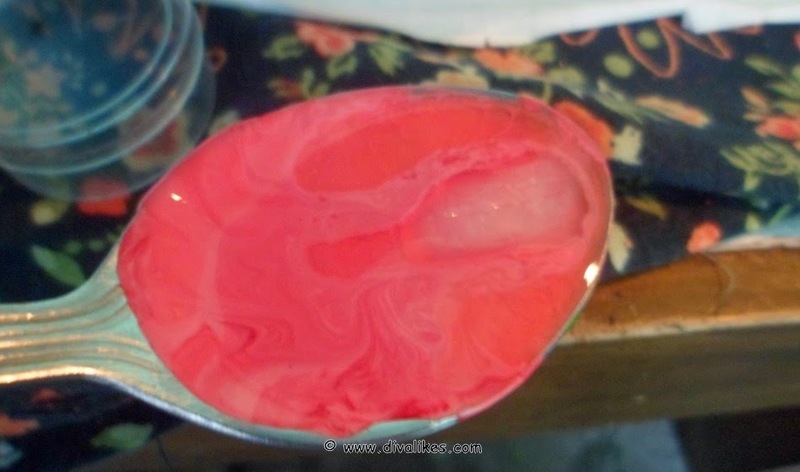 Once everything melts into a uniform consistency pour it into a container. Keep it in the refrigerator and let it set for 10-15 minutes. Your lipstick is now ready to use. It is quite easy to make and the result you get is awesome. You can add more Vaseline if you want it to be creamy and soft. Some people also make it with Shea butter but I used Vaseline because I was not having Shea butter. The color is sheer but you can build it up. You can even add vanilla essence for enhanced taste or peppermint oil for fragrance. As I told you before, the possibilities are endless. Don't you think it is time to get creative and crazy. 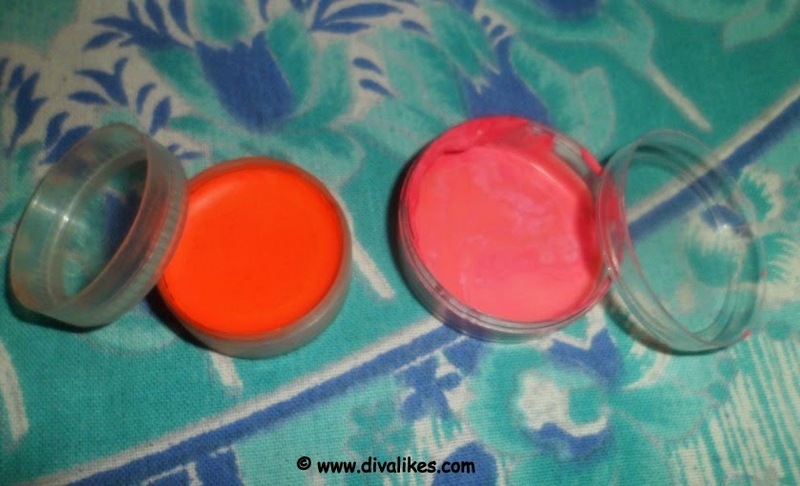 Do try it and let us know the colors and shades you did mix and match to create a brand new lipstick shade. 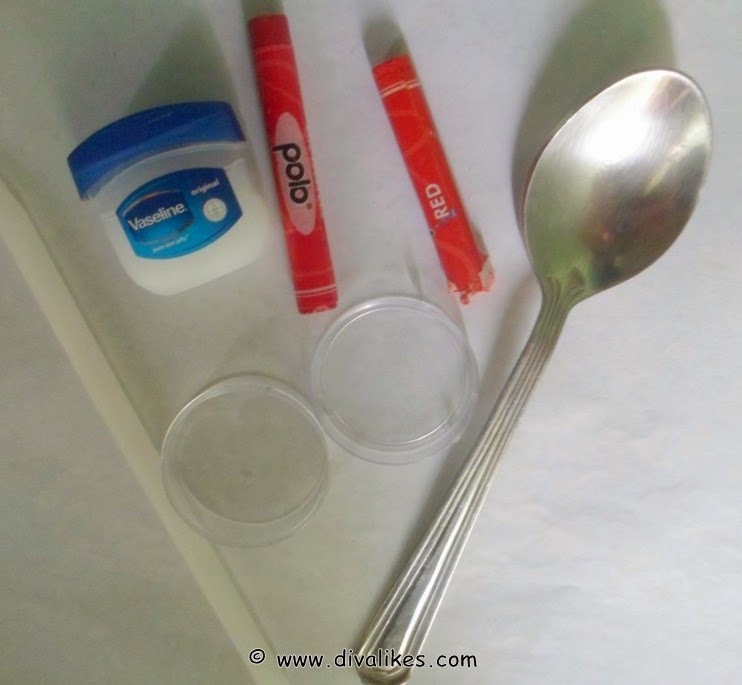 This DIY is wonderful...nice post Divya! woah! that is a superb DIY Divya! I'd love to give this a try! Nice DIY! Lovely shade you created! This is such a grreat DIY! I enjoyd doing it a lot Radha..